I just love the "Celebrate In Style" stamp set by Gina K. Designs and today I finally got a chance to "play" with it. I was inspired by a GKD team member (Lee) and her Celebrate in Pink creation and I CASEd her design for a challenge on the Stamp TV website. 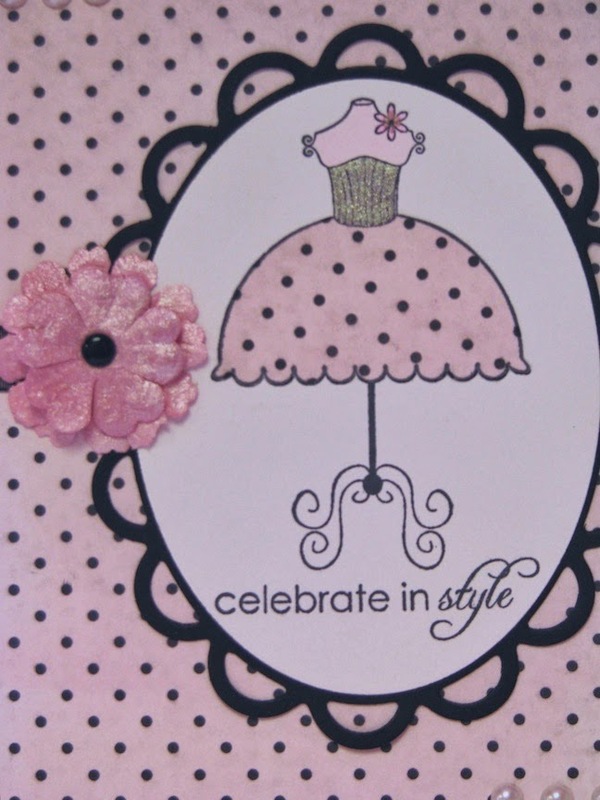 Stamps: Gina K. Designs "Celebrate in Style" and "Retro Boutique"
DYSU challenge - favorite color - definitely PINK! This is so CUTE! I LOVE the cute image, all the pink and the matching envie!!! Saw you over at Make It Monday! Have a GREAT day!! Kathy: wonderful Spring card--love the image. Thank you for entering Simply Create Too's Challenge #9--"It's Spring???" Such a pretty card! Found you through MIM! Stunning ! And so so very feminine . Gorgeous card. Thanks for playing at Crafty Purple Frog. Very Pretty!! Thank you for playing with us this week at Love to Create Challenge & For sharing your talents with us!! Come back and join us again soon!! Prettyful and feminine and really nice! Gorgeous cute, girly card!Fab colour combo. Saw you at MIM! Beautiful image and gorgeous colors! Thanks so much for joining us this week at Love to Create Challenge.